As a Canadian, I know that I often feel like I’ve got the short end of the stick when it comes to credit cards. We certainly don’t have all the options for rewards credit cards that our neighbours to the south enjoy. Things are about to change, though. I signed up for the Tangerine Money-Back Credit Card. This is a no-fee credit card that looks like it could really be a game changer when it comes to Canadian rewards credit cards. This Tangerine credit card review will show why this card is so unique. You’re probably familiar with the concept of rewards credit card categories. With these types of cash back cards, you usually get 1% cash back, and then see a higher reward on certain categories, or the categories rotate depending on the quarter. The Tangerine Mastercard takes a slightly different approach. Yes, you still get 1% cash back on most purchases, and 2% cash back on certain categories. The twist is that you get to choose what those cash back categories are. The Tangerine credit card allows you to pick two categories to earn a higher percentage. That’s not the only twist, though. You can choose to get cash back every month. 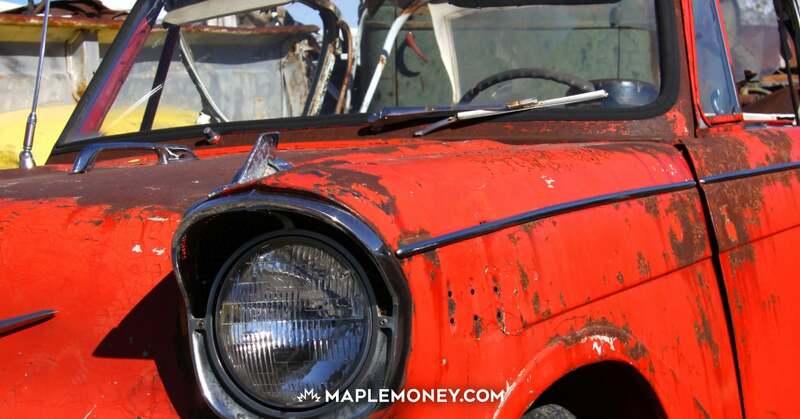 You can choose to have that cash back in the form of a statement credit, or you can choose to have it automatically deposited into your Tangerine savings account. Having the option to deposit your cash back into a savings account further boosts your rewards because now you earn interest on them as they sit in your savings account. Tangerine sweetens the deal by allowing you to pick a third category for 2% cash back if you decide to have your rewards put into a savings account. I believe Tangerine is the best bank in Canada right now, so it certainly wouldn’t hurt to signup for a free chequing and savings account there! Not only can you choose your own credit card categories at the outset, but you can switch them later on if you think that you can do better by changing it up a little bit. Another interesting bonus is that Tangerine will actually help you analyze which categories you spend the most on and recommend changes so that you can maximize your cash back. One of the other interesting departures from the norm when it comes to the Tangerine Money-Back Credit Card is the fact that you will have more flexible category definition. Gas pumped at Costco counts as gas. Groceries bought at Walmart Supercentres are credited in that category. Many of the other category credit cards don’t provide this breadth of application, and wouldn’t award extra cash back in certain categories if a store can be placed in more than one category. These twists make the Tangerine cash back credit card stand out as an addition to your wallet. There is also a special signing bonus. You can earn 4% cash back for the first 90 days in your chosen two credit card categories. If you choose to have your rewards deposited into your savings account, the 4% cash back bonus will apply to a third category of your choice. It’s important to note that the insurance package with the Tangerine Mastercard as good in the travel area as some of the other credit cards available (with annual fees). When choosing this credit card, it’s important to understand the benefits. You should also consider how your Tangerine credit card will fit in with the rest of your credit cards, and your overall spending plan. This is a great credit card to have because it allows you the chance to take your cash back earnings into overdrive. The first step to maximizing your Tangerine credit card is to agree to have your cash back deposited into your savings account. You get the extra category, plus you’ll earn interest on the balance in your savings account. Your next hack is to coordinate your Tangerine Mastercard use with other credit cards. If you have another category-based cash-back credit card, you can pay attention and make the category purchases with that other card while you choose your next highest spend categories to get the extra cash back for your Tangerine card. Pay attention and make sure that you spend on the right things with the right card. You can always re-arrange your Tangerine credit card categories to get the most benefit from it. Buy gift cards at stores matching your categories. If you head to the grocery store and buy gift cards, they will register that you went to the grocery store, and you can get your 2% cash back on those items. Choose to stock up on gift cards for your own use, or to give to others as presents and you can get even better value. This is especially true during the 4% special promotion period. You can also stack loyalty programs with your rewards card. 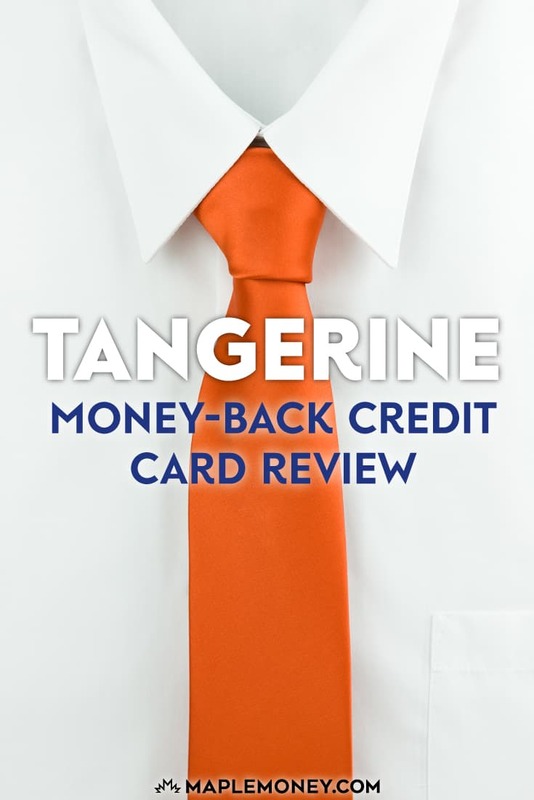 If you belong to a hotel loyalty program, use your Tangerine cash back credit card to make reservations. You’ll get cash back, plus earn points at the same time. This works for any loyalty program. You can also use this strategy for sites like Swagbucks that offer you rebates. Shop through these programs, and you’ll get an extra bonus. You get your cash back from the credit card, but you will also get a rebate from the company. It’s a good way to compound your cash back rewards. There’s no need to stick with cards that have lower cash back potential. The Tangerine credit card is something new in the Canadian landscape, and can be a potentially great card for any one. I have a tangerine cash back card and you need to be careful when chosing categories for 2% cash back. I chose reoccuring bills as one of mine, changed all my reoccuring payments to this card (insurance, automatic public transit pass payment, cable bill) only to discover a few months later I wasn’t get 2% for those.. The reason given by tangerine? Insurance is in the insurance category, train pass in the public transport category… So basically, nothing counts for reoccuring bills because they all fall under another category even if they are charged on a reoccuring monthly basis automatically by those companies. Very disappinted and it was very misleading. They should just remove that category if they aren’t going to honor it. Now I have to switch all those automatic payments back to my other credit vard which gives 1.5% on everything. Hi Karen, I’ve heard that Tangerine is bound by the categories MasterCard assigns. On my Scotiabank Momentum Visa Infinite, I have utility and internet bills show up as recurring, so I assume they still would with this card. Which card is giving you 1.5%? The Capital one master card. But I got it a few years ago and I don’t believe they offer that anymore (but those who already had it kept it). Its 1.25% now I believe. I have had the Tangerine credit card since December 2015 and find it very convenient. At the end of each month my rebate earned in the past 30 days is automatically deposited to my savings account. By far the my choice for sure. This cash back card has too many variables and choices making it quite complex. I have a similar one with American Express and has no choices but is simple and quite rewarding. There are only four cash back categories: Gas 3%; Restaurants 2%; Travel 2%; All other 1%. Cash back is paid out once per year in the form of real cash to spend as you please. Once per year is adequate allowing you to build up the reward in a meaningful amount. Looks pretty similar to me. Three main categories. Plus poor acceptance by retailers. Is there a fee? The thing I find aggravating about this card is the “activation” procedure. You have to figure out yourself how to activate once you go into the website. God forbid if you have to call in – at least 25 minutes on hold. Only credit card that I know of that require the Supplementary card holder to activate his/her card separately. One thing to be careful of: when you apply determines your statement date and they can’t (or won’t) change the date. I am self-employed, so I need all (or a majority of) my bills to fall due in the latter half of the month. By sheer luck, I applied & got the Tangerine card so that the statement date is the 7th so the due date is the third week of the month. Other than that, it’s a fabulous card. And I *really* love the fact that when you log into your Tangerine account, you can see pending transactions before they are posted to the account. I don’t know of any other credit card provider that allows you to see pending transactions. We get most of our gas at Costco. You cannot use any other credit card except CAPITOL ONE at Costco, which is administered through them. Gregg, you can use any MasterCard at Costco. I’ve been using the BMO World Elite MasterCard there since Costco switched from American Express. Used my Tangerine MC for gas at Costco. Received 4% rebate. This card looks like a great choice for a no-fee cash back card. I like the idea of picking your 2% category. Will have to determine if it makes sense for us to apply or not. Thanks for the review. Hi Catherine, it can be used (like any MasterCard), but Costco doesn’t count as a grocery category, so you’d just get the 1% back. For gas, I’ve heard some say that their gas stations do show up in the gas category, but I haven’t tried it myself. Hi Tom thanks for this. Why would Costco not be a grocery category? What category is it? You mentioned above that some gas stations take the card. How do I find out which ones? Is there a list of categories I can look at online? Thanks. Have a good day. FYI: I presently use my Tangerine M/C for all purchases.. My selected categories for the 2% rebate are groceries, gas and restaurants. Usage at Costco for groceries unfortunately does not qualify for the 2% cash back, BUT, the purchase of gasoline does qualify according to my statements. We have not shopped at Walmart for quite awhile, due to location so I am not sure if the 2% applies. Hope this information is of benefit. CAUTION with Tangerine Mastercard!!! if you’re like me and like to have your CC balance auto withdrawn from your bank account every month and pay off balance so no interest charges are incurred, FORGET with Tangerine unless you also bank with them. I chatted on line with customer service and they said they cannot so that with other banks. So I have to manually go in and pay my Tangerine like a bill payment every month. Sorry, but I am just too busy and too much going on to have to deal with this. I know I would miss payments and get charged interest. it is a convenience that all other CC companies offer (Citibank, BMO and CIBC all auto withdraw from my TD Canada Trust bank account), and value that convenience. I wish I had known going in, and cancelling now will likely affect my credit rating. If it does, then this card is going in the drawer to collect dust, never to be used again. Sorry this credit card doesn’t work for you. I always verify and check every charge on my credit card statement prior to payment. Congratulations on being so busy in your life. I like the extra 2% cash in lieu of any rewards at TD. I don’t use TD either. I only have it for some of the benefits, like extra year warranty. My go to card was what used to be Citi Driver’s edge, which then got sold off to CIBC. 2% on every purchase towards new or used vehicle purchase or lease. But they have since changed to cash back and charge a fee. Will have to look for another card. Need a list of places that accept the card and which categories they fall under!! It is a MasterCard so accepted virtually anyplace. I would expect you can understand the categories. I.e. : shell is gas so 2% if you choose. One thing to note is that online shopping or booking seemed to have been designated mostly as an “online” category by Master Card. So, if you buy grocery from amazon.ca, or book hotels through expedia.ca, you likely won’t be able to get the 2% or 4% even if you have chosen grocery or hotel as your category (I learned this the hard way, making many hotel bookings with this card…). Also, when it comes to traveling, it doesn’t have good travel-related insurances (travel interruptions, assistance, etc). So if you are using the card for hotel bookings, make sure you know what you are getting yourself into. I would use Tangerine for day to day shopping, definitely not for other purposes (like traveling). Tangerine Money-Back MasterCard is not a good rebate card. To be more precise, its 2% return is very misleading and using the whole card is more trouble than good to most people. Its setup of what belongs to your selected 2% category is very unfair and arbitrary. Lots of recurring bills are NOT counted as recurring, so instead of getting 2% bonus you only get 0.5%. My utility bills from ATCO Gas is not counted as recurring bills. That is ridiculous! It’s also a waste of time trying to call them. First the wait time is extremely long. Second its operators are not responsive at all. They just say “nothing we can do about it”.